Classic round knob in brilliant ceramic. The line pattern makes this product an outstanding choice for your home dicor. Eclectic round knob in brilliant white ceramic. The mosaic motif on the knob face makes this product an outstanding choice for your home dicor. 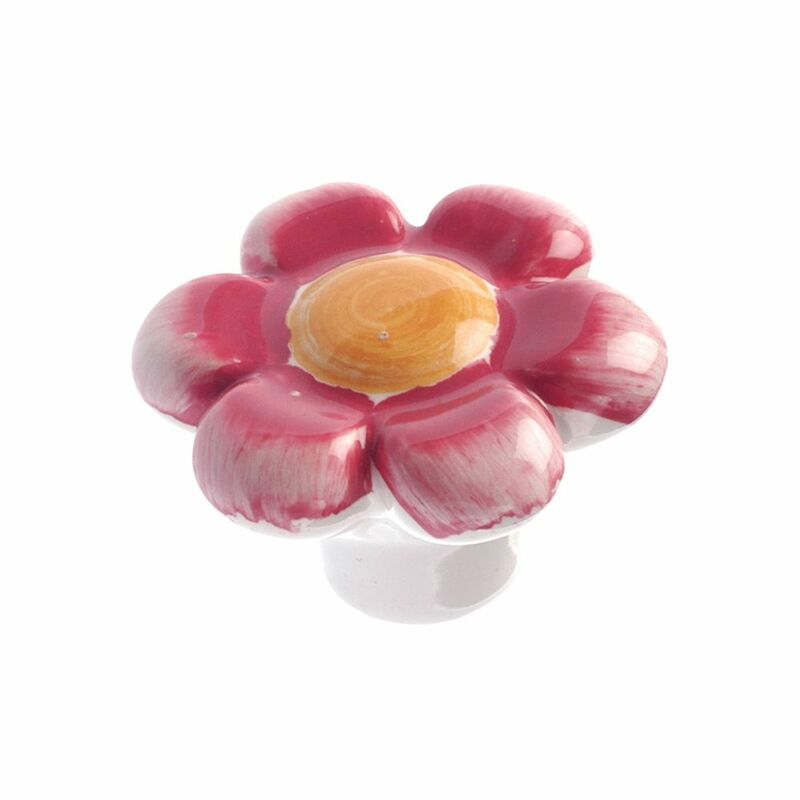 Eclectic Ceramic Knob 1 9/16 in (40 mm) Dia - Pastel Red - Bourges Collection Eclectic flower-shaped plastic knob by Richelieu. This product exudes playfulness and is a great choice for a child's room. Eclectic Ceramic Knob 1 9/16 in (40 mm) Dia - Pastel Red - Bourges Collection is rated 4.3 out of 5 by 3. Rated 3 out of 5 by VGETX from I ordered 5 of these online. I carefully installed 4, the fifth would not allow nut to tighten c... I ordered 5 of these online. I carefully installed 4, the fifth would not allow nut to tighten completely, so it is loose. Otherwise, they are cute and look nice on the very small chest of drawers in baby room. Rated 5 out of 5 by Nancy from Cute cute cute I only got 2 as a trial but love them. A very nice cool toned light red, not tomato-y at all. Youthful yet not overly childish color. Rated 5 out of 5 by Brooks from Love these! They're adorable and exactly like the picture, didn't have any chips or faults to them! They were the perfect touch to my little makeover project!